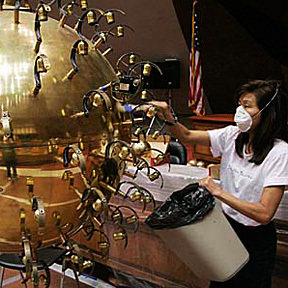 Fae Yamaguchi dusts the large light sculpture in the State House chamber. Its 132 gold-plated brass globes have been removed for repairs. The sculpture in the Senate chambers is also being repaired. »Where are all the Fanilows?